Last Friday, Ellen Pao resigned as interim chief executive officer of Reddit Inc. as she fell victim to a user revolt on online forum. Steve Huffman, a Reddit co-founder, is taking over as CEO, the San Francisco-based company said Friday. Huffman, chief technology officer at the travel startup Hipmunk Inc., has had no official role for several years at Reddit. “First, I’m super excited. Second I am terrified,” Huffman said in an interview. A decade ago, Mr. Huffman and Alexis Ohanian started Reddit in a two-bedroom apartment in a Boston suburb. Users go to the site to discuss a wide variety of topics, including viral memes, current events and gifs. The company has 70 to 80 employees and depends largely upon its thousands of dedicated power users to regulate the site. The sudden and unexpected downfall of Ms. Pao’s in the face of a torrent of racist and sexist comments, of which many of them were on Reddit itself, is most likely to replace charges that harassment, bullying and cruel behavior are out of control on the web. The well known problem of gender and ethnic diversity in its work force persists in the Silicon Valley. The argument over diversity in technology and insulting on the Internet have been going on for a long time. However, they seem to have reached the boiling point in the last year. One reason is Ms. Pao’s lawsuit against her former employer, the respected venture capital firm Kleiner Perkins Caufield & Byers. Years in the making, her gender discrimination case was unsuccessful to influence a jury. However, it did brought to the fore a community that casually endured an atmosphere where masculine pride was prized and women were often given secondary roles. Earlier this month, the debate at Reddit started from the removal of a well-liked employee that extracted much of its intensity from Ms. Pao’s lawsuit and her gender. Ms. Pao said in an interview “It was definitely a hard week”, describing her exit as a mutual agreement with the board after having conflicting views about the company’s future. She started working at Reddit two years ago. With more than 160 million regular monthly visitors, Reddit is one of the most popular site on the Internet. Mitch Kapor, a co-founder of the Electronic Frontier Foundation, pointed out that Reddit users were mainly male ranging from 18 to 29 years old. When news broke that Victoria Taylor, a famous and well-liked Reddit employee, had been suddenly removed from the company this month with no public explanation, the online message board’s close-knit community broke into upheaval resulting in the departure of Ms. Pao from Reddit. Reddit users closed down hundreds of sections of the message board in protest. The dismissal was another setback for Ms. Pao, who rejected a seven-figure settlement offer from Kleiner last fall to end her claims that she had been differentiated against at the venture firm because she was a woman. Ms. Pao, who joined the firm in 2005 as chief of staff to its best-known partner, John Doerr, was merely not very good as an investor maintained Kleiner. The case attracted attention around the world, in part for its lecherous details. In interviews, Ms. Pao has refused to comment as to what would be her next move, however, an appeal in the Kleiner case is quietly moving forward. The court reporter has been asked to prepare transcripts, which is the next step in the process. Ms. Pao for many months is not required to provide her basis for appeal. In the end, if she succeeds to convince a three-judge panel that the trial was unfair, Kleiner would be on trial again. Lawyers of Ms. Pao’s lawyers and Kleiner refused to comment on the issue. Reddit is a private company, a majority of which is owned by Advance Publications, the parent company of Condé Nast. Reddit raised $50 million last October in venture capital from investors including Mr. Altman, Andreessen Horowitz and the rapper Snoop Dogg. 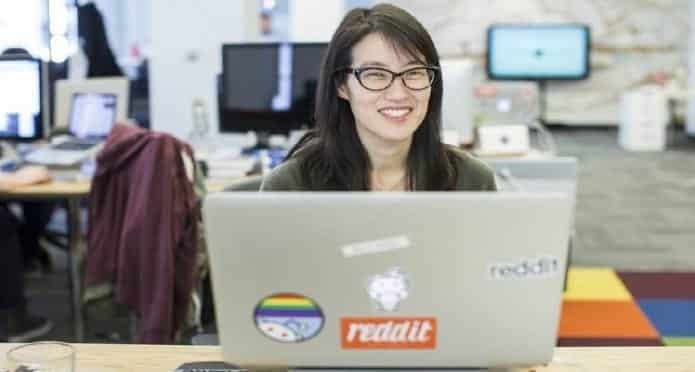 Ms. Pao said she would continue to be an adviser to Reddit’s board for the remainder of the year. She said, “I plan to get a lot of sleep”, when asked about her immediate future.